We perform three-dimensional wavefront engineering to holographically reconstruct an arbitrary three dimensional (3D) optical structure. We divide the 3D structure into N layers of two-dimensional structures. We then calculate the holograms individually then apply the necessary phase to translate the reconstruction along the axial direction. Simulations were done to reconstruct a five layer toroid that was acquired from its corresponding g-code. We find that increasing the number of layers degrades the accuracy and quality of the reconstructions due to the effects of noise and plane crosstalk. J. A. Pelayo and P. L. Hilario. 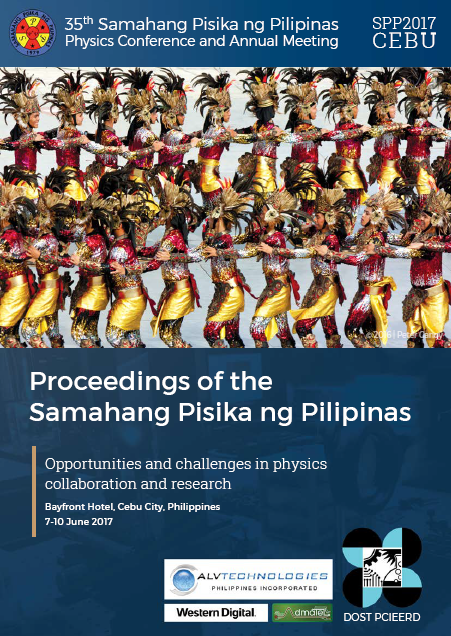 Three-dimensional wavefront engineering, Proceedings of the Samahang Pisika ng Pilipinas 35, SPP-2017-PA-12 (2017). URL: https://paperview.spp-online.org/proceedings/article/view/115.